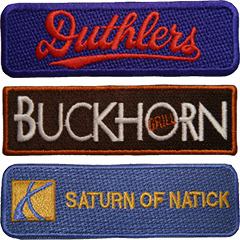 Signet Emblems provide the luxurious look of direct embroidery without requiring the design to be sewn into the garment. The embroidered background is created to closely match the garment on to which it is applied. By matching the color and texture of the background, it is possible to achieve the look of… See more. 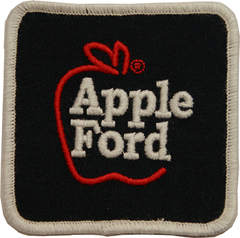 Ensign Emblem began as a company where you could purchase quality emblems and direct embroidered products. Over 30 years later, we are still that place, we've just added more services and products to our menu. When industrial laundries have problems to solve, Ensign Emblem is the consultant of choice. Whether you need suggestions for managing your stockroom efficiently, or are looking for information about an in house emblem printing system, we will use our years of experience and industry knowledge to find the right solution for your business.